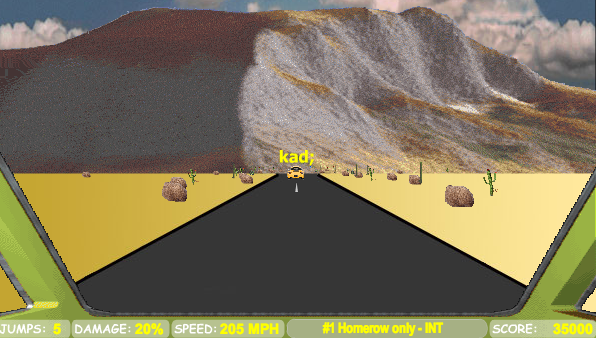 (iPad) Desert Type Racer- race against others through the desert. Choose your level: you can practice with just the home row keys and gradually add more keys as your skill level improves. 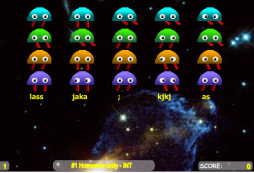 (iPad) Spacebar Invaders - Choose your level and stop the space invaders by typing as quickly and accurately as you can! 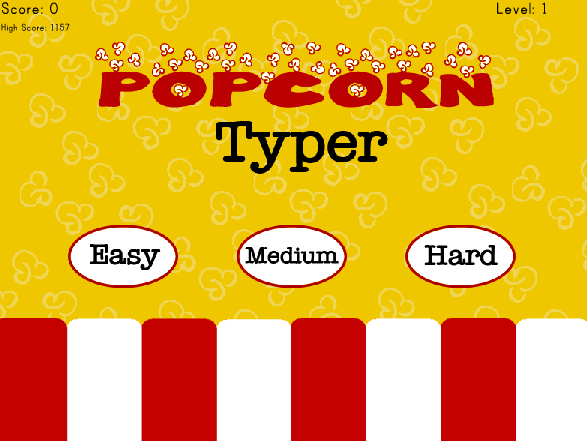 (iPad) Popcorn Typer: Type the letter or word in the kernel before it hits the end line to make the popcorn pop. (not iPad) Keyman is just like the old game Pacman except you need to use your keyboarding skills to move Keyman around the game!